If a Chinese car brand could be the manifestation of a world-class automotive dealership, then Haima would be it. 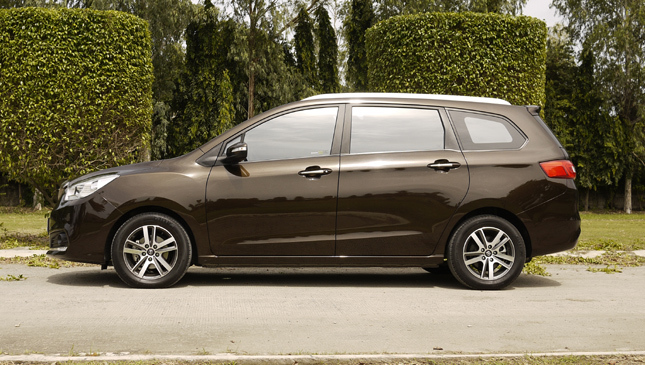 In the Philippines, it continues to make its mark as one of the country’s trusted source of automobiles ranging from sedans to multi-purpose and sport utility vehicles, through Haima Philippines. 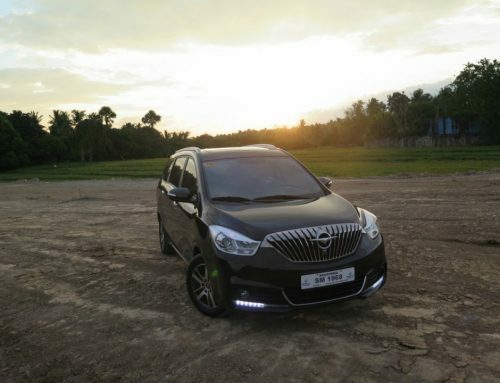 Exclusively distributed and operated by the LausAutoGroup, what was once a newcomer in the local scene is now a triumphant player in the industry, mainly because of its reputable name and competitive lineup of units. 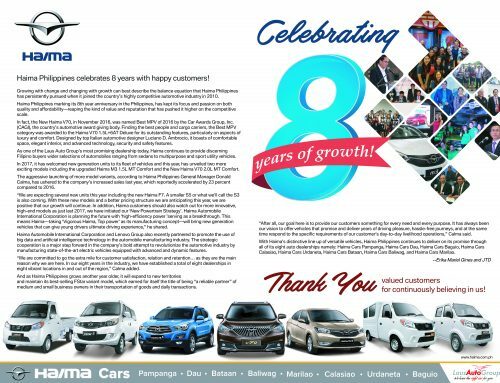 Now its 9th year, it is a clear sign that Haima Philippines is indeed embraced by Filipino consumers, as records show that despite the country’s inflation woes last 2018, the company was able to sustain its gains. Haima Philippines General Manager Donald Calma shared that the feat is a testament that Haima Philippines is keen on exceeding expectations and numbers. 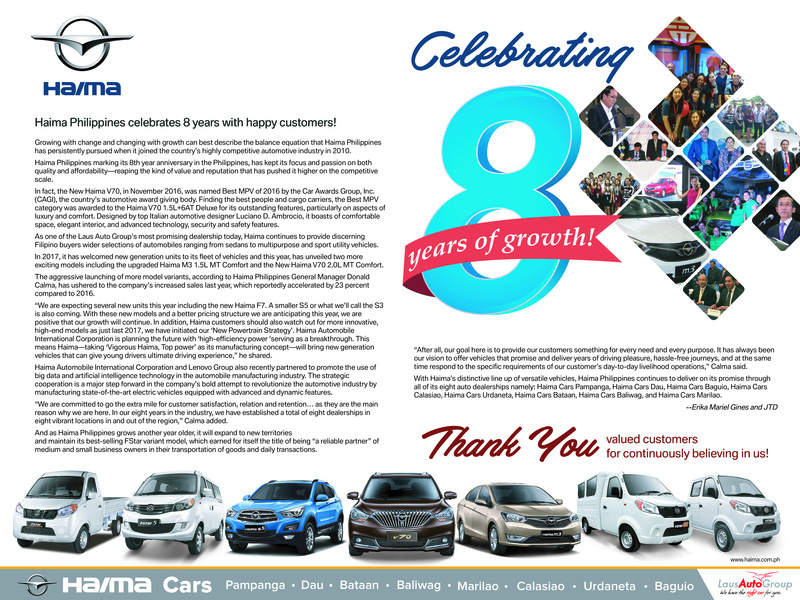 “As we celebrate our 9th year, we cannot help but be grateful for our successes, including our increased sales last year, despite the -14 percent drawback in the local automotive market. We’re proud to say that we actually grew our sales by 23 percent,” he said. “We can attribute this milestone, of course, through the continuous patronage, unwavering trust, and support of our customers, who inspire us to go beyond the extra mile and always look for more ways to improve our sales and after-sales services,” he added. The executive then relayed that as part of its commitment to further serve clients, Haima Philippines is set welcome more exciting and innovative units including the next generation Haima F7 which recently debuted at the 2018 Beijing Auto Show. 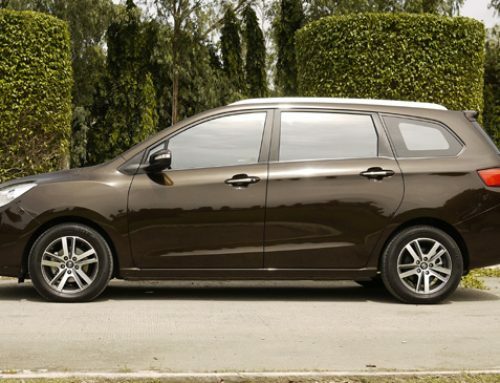 “This model, which is actually the newest V70, will soon be available in the country. Another great news is that we’ll be welcoming the automatic variant of the Haima S7 this month. All these new additions to our lineup mean that we’re really eager to provide Haima customers with array of models, each designed to meet their varying needs and preferences,” he highlighted. Aside from extensive vehicle portfolio, Calma disclosed that customers can expect more branches in the near future. “A lot of customers are asking for additional locations and we’re thrilled to announce that this month, we’re inaugurating Haima Tarlac. Soon, we’ll also be launching in La Union and Ilocos Norte. We’re trying to cover more provinces in the North, as we are hopeful that we can also set foot in the South,” he relayed. 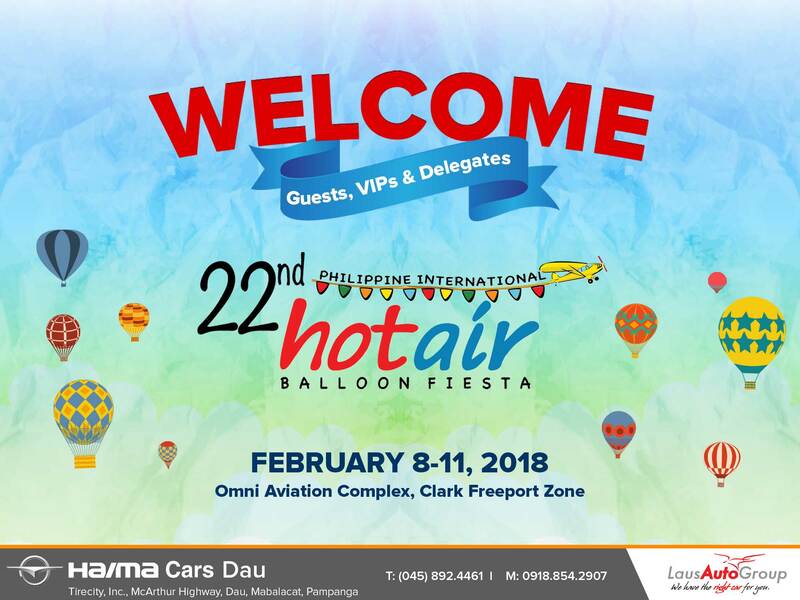 The new dealership facilities are one of the many ways Haima Philippines bring to life its mission of providing top-of-the-line vehicles to Haima enthusiasts, wherever they may be. “These expansions usher us to move forward and closer to our dream of putting up Haima branches in and out of the region. We want to position the brand as the Filipino’s reliable partner and provider of premium and dependable automobiles that promise and deliver lifetime of convenience and comfort on the road,” Calma concluded. 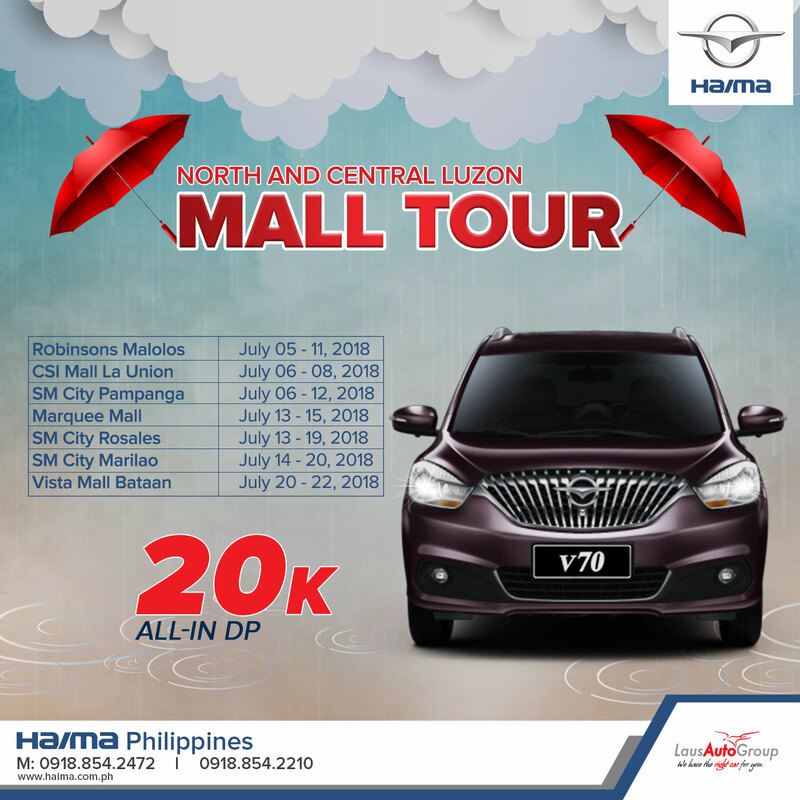 As part of its month-long celebration, Haima Philippines is offering its “Haima Great Deals” promo, as a treat to valued customers. 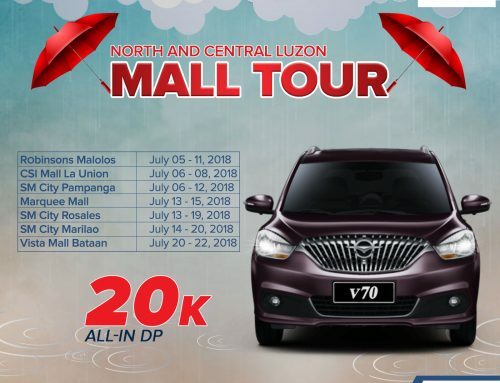 The not-to-miss offer, which will run until January 31, allows buyers to purchase their dream Haima car under an all-in down payment scheme and with free one month amortization and PMS up to two years.